So last week in MN must have been really cold, yet you went out in that short skirt! Do your nylons provide any sort of warmth? I doubt it. So how does a girl stay fashion forward in such cold temperatures? It was cold. It will be even colder this week. I hate the cold and one of the primary reasons is that I don’t like letting the cold tell me what to wear, and therefore I am usually freezing. No, the stockings do not provide any sort of warmth. I suppose I could wear thermal tights or leggings, but to be honest, I work really hard to keep my figure and I am especially proud of my legs. I like to show them off. I admire girls who can pull off a really cute and stylish look when the weather turns nasty. When I see a girl wearing leggings and a cute sweater I always wonder if I could make a look like that work for me. It would certainly be more sensible than a skirt like that and matching it with four inch stilettos. What’s amazing about women’s clothing (and I don’t think there is such a thing as “men’s” or “women’s” clothing, but you know what I mean) is how cute, fun, and how varied it can be. In male mode it’s shirt and tie…every. single. day. But on the other side of the closet, it’s hoodies and yoga pants, skinny jeans and tank tops, t-shirts and jean skirts, dress pants and blouses, summer dresses and sneakers. The options change with the seasons. Right now the weather is giving us an excuse to wear infinity scarfs, tights, boots, cute jackets… the options are endless. I never feel more jealous than when the seasons shift from one to another. I do tend to dress on the more…dress-uppy side of things. I love heels, dresses, dramatic makeup… I tend to stand out. Not because I am amazing or anything like that, but I am a six foot tall t-girl. Taller in heels. People tend to notice me anyway. Some girls dress to blend in and I think that’s wonderful, but I don’t think I’ll ever be able to do that. So, if I can’t blend in, I may as well dress exactly how I want. I do think about going a little more casual from time to time, but that hasn’t happened yet. What are some of your favorite winter looks? Comment below! Great post, as usual! I’ve been wearing tights, boots, a skirt (bodycon or A line), and various comfy sweater tops. I recently found a cute Pleather skirt at H&M that looks great with everything. I think it is GREAT to dress up a little more and Glam it up a bit. 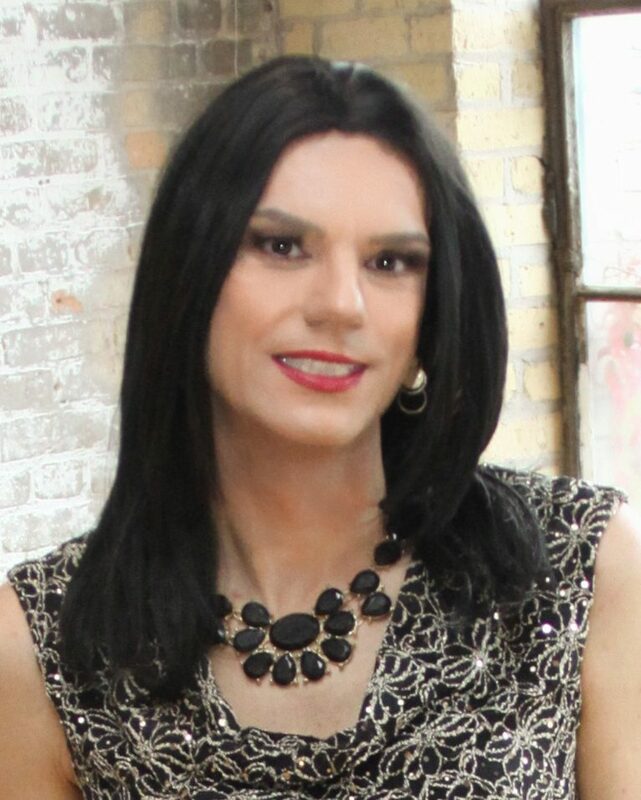 I have my Cis friends tell me that I look better than them, and I just say that I’m trying to make up for lost time, and put more energy toward it (and if they want to go shop and do a makeover together, we can look Faboo together!). But, I’m with you on the casual look. I’m still playing around with jeans and leggings, and whatnot. It’s a little harder to pull off for me, but I’ll keep trying! Thanks Hannah. Living pretty much full time as Charlene I have developed a nice varied casual style and yes there are way more options to choose from and still stay on the classy side. That being said And having been born a bit before 1950 I still have fond memories of shopping “Downtown “. With my grandma. Those were always dress up trips. So now any outing to the mall, lunch,dinner, coffee or drinks is always more fun dressed up. I still believe that it is hard to be over dressed. FWIW You do have great legs. Thanks again for your posts and advocacy for our community. I feel like since I spend so much time wearing pants as a guy, I like to mostly wear skirts and dresses… though if there is a cute pair of jeans that make an outfit WOW, I’m willing to do that too (especially with boots)!